Fully-updated big Monster was also, controversially, the first liquid-cooled version. It might have lost some of the original’s purity and simplicity but its raw, roadster spirit survives and, with 145bhp and available in three specs, it’s better than ever. 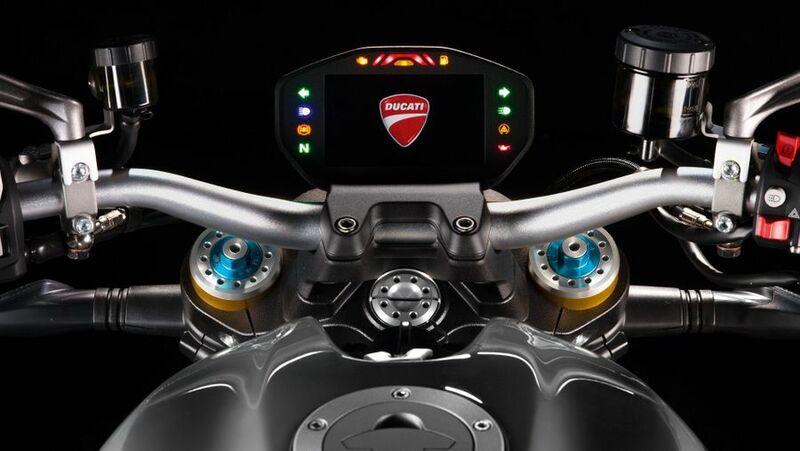 Definitive, naked, Italian V-twin roadster gained a re-worked version of the liquid-cooled V-twin engine from the Multistrada for 2014 plus all the expected gizmos that go with it. In base, ‘S’ or high-end ‘R’ trim it’s a brilliant performer if lacking the affordability and simplicity of the 1994 original. Interested in buying a Ducati Monster? Motorcycles don’t get much more pure and classic than the Monster. Ducati famously got the original Monster 900 – (air-cooled) V-twin, stumpy, stylish chassis, sporty cycle parts and not a lot else – spot-on in 1993 and commendably the Italian firm has managed so successfully evolve that recipe over the years since. This version, however, with the move to liquid-cooling for the first time, together with sophisticated electronic rider aids and increasingly high-spec components, takes the formerly simple Monster into new, pricier territory. However, there’s no doubt that it’s quicker and better – yet just as stylish and desirable as it ever was. Despite the revisions, the big Monster’s attitude and posture has barely changed over the years (with the exception of the preceding, slightly more cruiser-ey 1100). Squat, slim and aggressive (yet with a bulbous fuel tank), the Monster rider very much sits ‘in’ the Ducati and is canted forward slightly to aggressive, straight bars. It’s easy enough around town plus sufficiently sporty should you wish to scratch through some turns but it’s not at its best as a long distance tourer. As a runty, naked roadster, and a fairly aggressive one at that, the Monster was never intended as a do-it-all machine. Pillions are an afterthought, there’s little room for luggage and virtually nothing in the way of weather protection so long-distance load-hauling definitely isn’t its forte. That said, the big Monster is surprisingly easy to get on with, nimble and punchy around town and, depending slightly on spec, more than capable of hanging onto the coat tails of most sports bikes and for many, that’s more than enough. Before the 1200, the big Monster was always a little crude and basic, making up in nimbleness and fun what it lacked in power. That all changed with the move to the liquid-cooled, ‘Testastretta’ V-twin from the Multistrada. Base and S versions get a punchy, slick 145bhp along with switchable rider modes and radially-mounted brakes (the ‘S’ gets even sportier Brembo items) – enough to keep up with all but the sportiest of super nakeds. The ‘R’ version, meanwhile, gets 152bhp, lightweight chassis and cycle parts that wouldn’t be out of place on most superbikes. As with Performance, the big Monster’s ride and handling took a sizeable step up with the new 1200 – particularly in ‘S’ and ‘R’ trim. 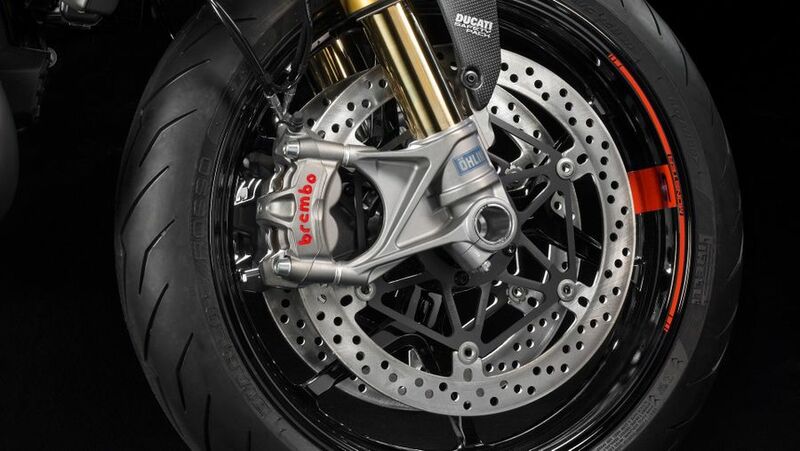 Although there’s nothing much wrong with the standard bike’s suspension, the S version’s Ohlins certainly gives it a more cultured ride while it also benefits from uprated Brembo brakes and lighter wheels, giving sharper, lighter, quicker steering. The ‘R’ version, thanks to more aggressive geometry and even higher spec electronics and cycle parts gets virtually the full superbike treatment. 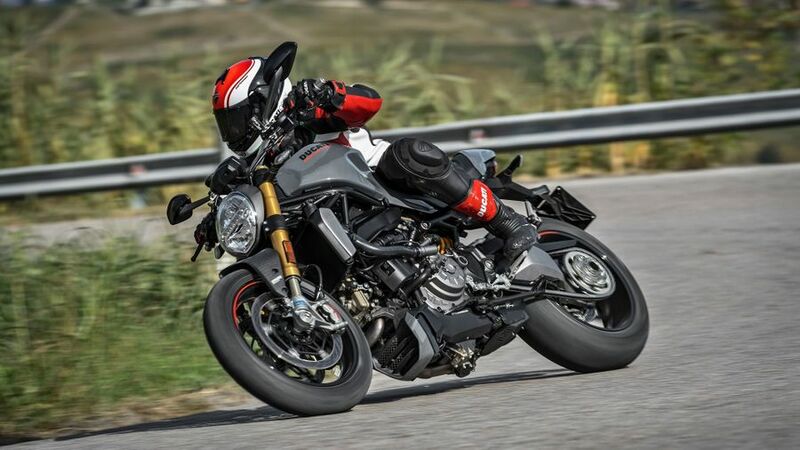 While Ducati’s original Monster was a fairly straightforward, affordable machine, the same can’t be said of this latest, 1200cc, top-of-the-range, hugely sophisticated offering – that budget ‘slot’ is currently filled by the smaller 797 and 821 variants. It’s also true that the higher-spec 1200s, the ‘S’ and ‘R’ are every bit as sophisticated and potent (and thus as expensive to run) as Ducati’s Panigale superbikes, although this is less true of the base version. The days of brittle, unreliable Ducatis have long gone and their quality these days stands comparison with any rivals – which is just as well considering their sometimes hefty price tags. The Monster 1200, built around as it is the proven Multistrada 1200 powertrain, should have nothing to fear although it has to be said that the ‘R’ version in particular is a fairly highly strung, ultra-sophisticated piece of exotica and deserves to be treated as such if you want to maintain peak performance. 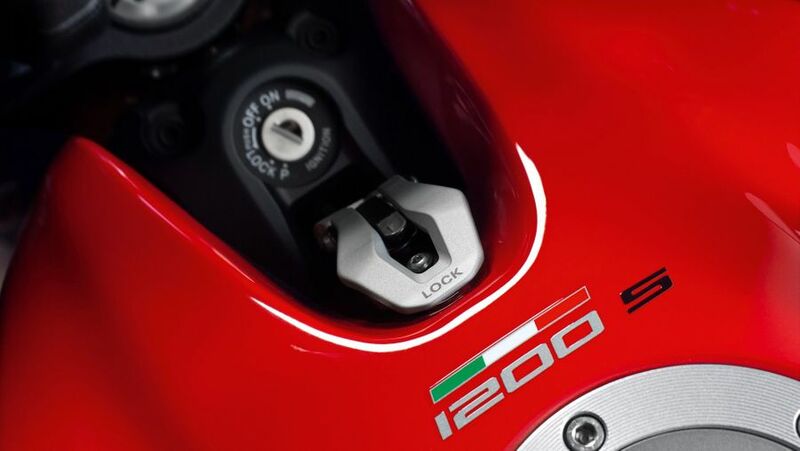 Ducati service intervals have also improved hugely in recent years – as pioneered with the original 2010 Multistrada 1200 which came with expanded 15,000-mile major service intervals. As the 1200 Monster is based on the same ‘Testastretta’ powertrain we’d expect a similar situation here. So, although the 1200 Monster is a sophisticated machine and its service costs can accordingly be higher than average, on balance there’s little to fear. Like other Ducatis the Monster 1200 comes with a two-year, unlimited mileage warranty. As there are three different versions of the 1200 Monster it’s a case of ‘you pays your money, you takes your choice’. Even so, all are far more sophisticated than all previous Monsters. The base version has cornering ABS, traction control, anti-wheelies, TFT display and switchable riding modes. 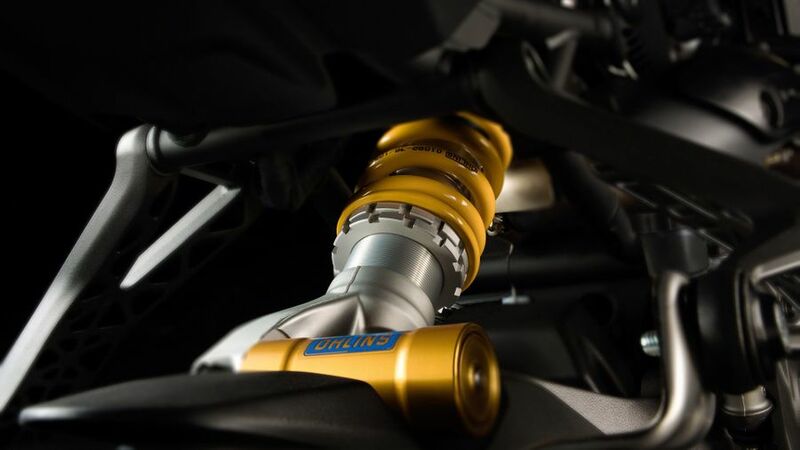 The ‘S’, along with Ohlins and Brembos, gets a quickshifter, while the full bling R has even more sophistication including a full colour display. Monsters never used to be so flash. The original Monster was a basic but fun-packed and affordable entry into Ducati ownership. The latest 1200 shows how far things have come. While the 797 and 821 are the entry-level machines, the 1200, in all its guises, is now a phenomenally potent and impressively sophisticated super naked that’s a match for any – yet still retains bags of Monster character. Sure it’s not as cheap as it once was, but it’s by far the best and most exciting Monster yet.